Your construction site depends on power to keep your tools and equipment running at all times. 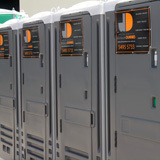 Dinkum Dunnies are your local Brisbane experts that you can rely on to keep the current flowing. When you need to safely install overhead single or three-phase temporary power poles, give us a call. We cover the testing of the power pole by a licensed electrician and the submission of the Form 2 to Energex. After calling us for your installation, all you need to do is make a quick call to your Electricity Retailer to set up the electricity account and we do the rest! Used on most domestic building sites where there is an overhead power supply. Lead time for installation and Energex connection is approximately 10 working days. Total Min. Price $600 - + GST, installation and removal of power pole plus 12 weeks pole hire. Hire a power pole and dunny together for delivery on the same day and get a $50 discount off the cost of the power pole. Three phase power poles are perfect for larger construction sites where there is a larger demand for power ie. for cranes, welding machines and dewatering. Price $900 + GST, price includes installation and removal of power pole, plus first 12 weeks pole hire . $45 + GST pole hire per week after initial 12 weeks. Need a temporary power pole for your new home construction or civil engineering project? Portable Builders Power Pole Hire From Brisbane To The Sunshine Coast, Kilcoy And Ipswich. We deliver POWER POLES and on-site temporary power solutions to all areas. No job too big or small. Temporary electrical supply to your work site must be safe and compliant - you leave all that to us! Whether you're a home handyman renovating or a new home building company needing a short term power supply, we have the capacity and experience to meet your on site temporary power pole requirements. We deliver and pick up to suit your project and construction. We also provide portable shower hire for your construction site. Hire a Dinkum Dunnies POWER POLE. 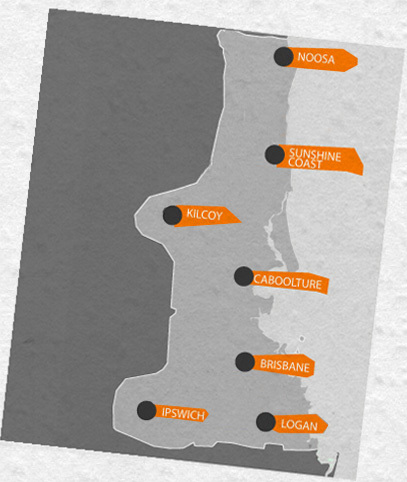 We're a local Brisbane, have "can do" attitude, we're here to help ...and we've got very competitive rental rates too! Give us a call today on (07) 5495 5733.